Transition Silicon Valley offers a library of DVDs. To check one out for up to a week, contact Victoria Armigo (e-mail: varmigo at earthlink dot net). For some of the films, you can make arrangements for group viewings; licensing restrictions vary. Click on a film title here to jump down to the full description. At the full description, click on its title to open the film’s website. The promise of surburbia is at risk due to Peak Oil: as global demand for fossil fuels begins to outstrip supply, and energy prices skyrocket in the coming years, does this dream have a future? 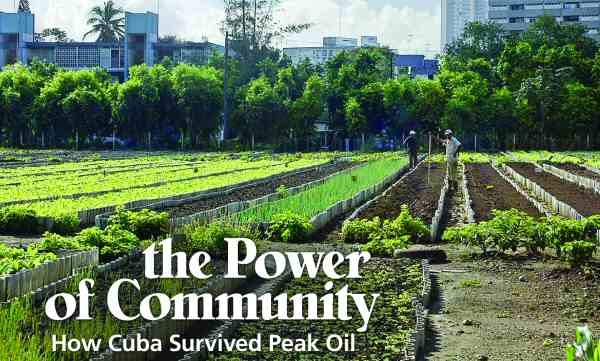 Learn how Cuba, which has already faced Peak Oil challenges, transitioned from highly mechanized agriculture to using organic farming and urban gardens. 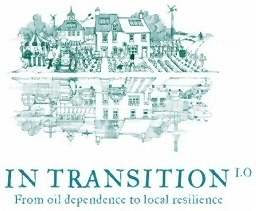 The Transition movement is about communities around the world responding to peak oil and climate change with creativity, imagination and humor, and setting about rebuilding their local economies and communities. The Findhorn Ecovillage in Scotland gives us an inspiring look at community and its role in helping us to create a life-sustaining society as we face the twin challenges of Peak Oil and Climate Change. This film highlights people making a difference in energy conservation, efficiency and renewable, green power, all while saving money and the environment. Two friends plant one acre of corn inIowa, and uncover the devastating impact that the subsidized crop driving our fast-food nation is having on the environment, public health, and family farms. Geoff Lawton demonstrates how to grow a food forest from start to finish. The film tells the story of farmers, mostly immigrants from Latin America, fighting to save their 14-acre community garden in South Central Los Angeles from bulldozers. 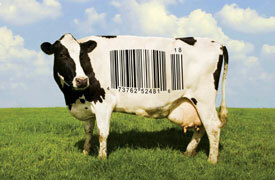 This film reveals surprising, and often shocking, truths about what we eat, how it’s produced, and who we have become as a nation—facts hidden from the American consumer with the consent of our government’s regulatory agencies, USDA and FDA. The film exposes a growing body of scientific evidence proving that nutritional therapy can be more effective, more economical, less harmful and less invasive than most conventional medical treatments. It features interviews with leading medical experts from around the world who discuss natural approaches to preventing and reversing cancer, obesity, heart disease, depression, mental illness and many other chronic conditions. This public television documentary follows the quest of small town newsman Tom Hylton to discover why America’s towns have declined and what we can do to revive them. Hylton explores policies which gave rise to sprawl, finding the downsides to the “American dream.” He concludes by listing logical, practical ways America can rebuild its towns, preserve its countryside, and provide more secure, neighborly communities for people of all ages and incomes. Learn about the key role that design plays in community from some leading progressive thinkers on the subject. Armed with a comprehensive process for regional land-use decisions that was established thirty years ago, Portlanders now enjoy a thriving downtown, as well as national recognition for their achievements in alternative transportation, emissions reductions, and overall sustainability. The film tells the story of the struggle to maintain a vision that runs counter to some key assumptions of American culture, while it raises questions of equity and fairness. The film traces the history of the atomic bomb and examines the present state of global affairs: nine nations possess nuclear weapons capabilities with others racing to join them. Suburbia, and all it promises, has become the American Dream. But as global demand for fossil fuels begins to outstrip supply, and energy prices skyrocket in the coming years, does this dream have a future? Are today’s suburbs destined to become the slums of tomorrow? Suburbia promises a path to the American Dream—but does this dream have a future? The era of cheap and abundant energy from fossil fuels is coming to an end. The growth of global demand for fossil fuels is beginning to outstrip the rate of extraction, and energy prices will skyrocket in the coming years. Long before we run out of fossil fuels, their growing expense will throttle the entire economy. At risk are our growing consumption of goods often coming from far away, our industrial methods of food production, and our jobs at the end of long commutes in our cars—the way of life we have grown used to. The major media and politicians do not seem willing to face the questions raised by an impending energy crisis, but the military is planning for growing global conflict, aiming to secure foreign oil supplies at tremendous cost and risk. There is no combination of alternative fuels which will allow us to continue using energy in the way we have been able to use fossil fuels. We’re going to have to live more locally, less dependent on transportation and on faraway energy sources. The “New Urbanism” movement is suggesting ways to redesign cities to make them more livable, and use less energy—but will we have the resources to retrofit our existing sprawling suburbs? Are today’s suburbs destined to become the slums of tomorrow? When the Soviet Union collapsed in 1990, Cuba’s economy went into a tailspin. With imports of oil cut by more than half – and food by 80 percent – people were desperate. This film tells of the hardships and struggles as well as the community and creativity of the Cuban people. 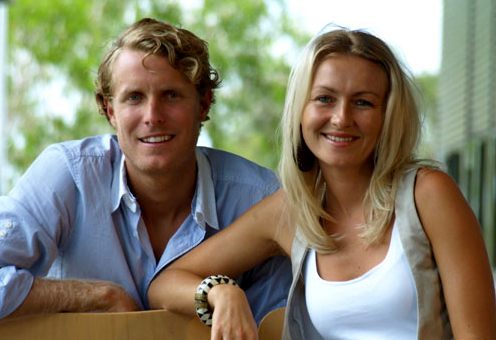 They share how they transitioned from highly mechanized agriculture to using organic farming and urban gardens. It is an unusual look into the Cuban culture during this economic crisis. The film opens with a short history of Peak Oil, a term for the time when world oil production will reach its all-time peak and begin to decline forever. Cuba, the only country that has faced such a crisis, is an example of options and hope. Featuring the Findhorn Ecovillage in Scotland, and visionary leaders in the fields of human ecology and global transition, this film takes an inspiring look at community and its role in helping us to create a life-sustaining society as we face the twin challenges of Peak Oil and Climate Change. With the help of friendly neighbors, genetically modified seeds, and powerful herbicides, two friends plant and grow a bumper crop of America’s most-productive, most-subsidized grain on one acre of Iowa soil. But when they try to follow their pile of corn into the food system, what they find raises troubling questions about how we eat – and how we farm. The friends uncover the devastating impact that the subsidized crop driving our fast-food nation is having on the environment, public health, and family farms. Join Geoff Lawton on a Permaculture adventure as he demonstrates how to grow a food forest from start to finish. We start with a 20 minute Permaculture Classroom as Geoff explains the patterns of a Food Forest and the essential principles of “time stacking” your garden with the right mix of support species that feed and protect your fledgling fruit trees into maturity. We then join Geoff in the field as he puts the theory into action, planting the seeds and watching the system grow. We end up at Tagari Farm, planted according to Permaculture design principles. The fourteen-acre community garden at 41st and Alameda in South Central Los Angeles is the largest of its kind in the United States. Started as a form of healing after the devastating L.A. riots in 1992, the South Central Farmers have since created a miracle in one of the country’s most blighted neighborhoods. Growing their own food. Feeding their families. Creating a community. But now, bulldozers are poised to level their 14-acre oasis. The Garden follows the plight of the farmers, from the tilled soil of this urban farm to the polished marble of City Hall. Mostly immigrants from Latin America, from countries where they feared for their lives if they were to speak out, we watch them organize, fight back, and demand answers. Despite the billions of dollars of funding and research into new so-called cures we continue to suffer from a raft of chronic ills and every day maladies. The film sets about uncovering the trillion dollar worldwide ‘Sickness Industry’ and exposes a growing body of scientific evidence proving that nutritional therapy can be more effective, more economical, less harmful and less invasive than most conventional medical treatments. ‘Food Matters’ features interviews with leading medical experts from around the world who discuss natural approaches to preventing and reversing cancer, obesity, heart disease, depression, mental illness and many other chronic conditions. In England, Hylton learns how green belts and garden cities preserve towns and countryside. In Oregon, he meets a farmer-legislator who pioneered growth boundaries to do the same thing. In North Carolina, he visits towns that have adopted new zoning laws to encourage traditional neighborhoods, and in Florida, he finds a new town where people can walk to the grocery store and kids can walk to a K-12 public school. 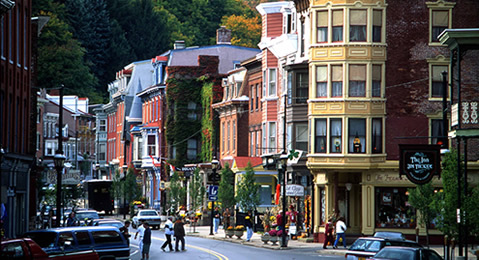 He returns to Pennsylvania to learn how new “brownfields” policies can encourage the redevelopment of our cities. Hylton concludes by listing logical, practical ways America can rebuild its towns, preserve its countryside, and provide more secure, neighborly communities for people of all ages and incomes. 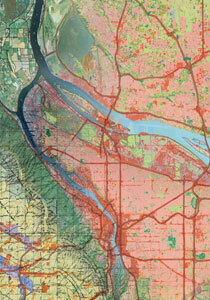 Portland established an urban growth boundary to prevent the city from sprawling any further, stopping suburban development and preserving the surrounding land for agriculture, forestry, and recreation. The region’s land use planning is overseen by a single council, whose decisions on business development beyond the existing boundary are contentious. How much should individuals sacrifice their rights for the good of the community? Land owners outside the boundary, who wanted to maximize their property values, revolted in 2004—temporarily setting back the idea of regional planning. Portland’s encouragement of community participation in the planning process may have been a key factor in eventually reinstating the system of regional control. Advocates of regional planning point to the vitality of the urban center and the nearness of the countryside as results of concentrating development in the center and preserving farms nearby. Portland has redesigned its transportation system, easing travel to downtown by building up mass transit (and thus reducing the need for cars). Portland is also increasing density, aiming to create neighborhoods with easy access to amenities. As an unintended consequence, affordable housing may be forced further from the center. 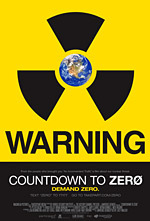 Countdown To Zero traces the history of the atomic bomb from its origins to the present state of global affairs: nine nations possess nuclear weapons capabilities with others racing to join them, with the world held in a delicate balance that could be shattered by an act of terrorism, failed diplomacy, or a simple accident. Written and directed by acclaimed documentarian Lucy Walker (Devil’s Playground, Blindsight), the film features an array of important international statesmen, including Jimmy Carter, Mikhail Gorbachev, Pervez Musharraf and Tony Blair.